Already have accreditation? Why Temos? Here is why. Home/Posts/Already have accreditation? Why Temos? Here is why. Hospitals and clinics that serve international patients seek international or national accreditation as a proxy for high quality clinical standards. The process is rigorous and can improve clinical care for all patients, domestic and international. What most accreditation programs do not offer is a review and assessment of patient services especially those needed by medical travelers. Temos Worldwide offers accreditation that addresses the particular needs of healthcare providers who serve medical tourists. Since 2010, Temos Worldwide has offered certification programs to hospitals and clinics as well as patient representatives. Its services are built on German-quality clinical standards, international best business and medical practices, and experience in healthcare and medical travel. This winning combination assists its more than 75 accredited clients deliver a patient experience that is world class. Temos programs go yet one step farther by tailoring its accreditation programs to meet the specific clinical needs of the providers and international patients. While certain ancillary services like transportation and hotels are used by all medical tourists, those patients seeking specialized care want assurance that the clinical standards have been assessed according to their specific needs. For example, the clinical standards assessed at dental clinics are different from those reviewed at IVF clinics. Hospitals and clinics that treat ex-pats or international patients at their emergency centers provide different services than those delivered by healthcare providers that market to medical tourists. One size does not fit in and Temos’ accreditation programs personify the belief that accreditation programs should be designed to fit the needs of the provider and patients. 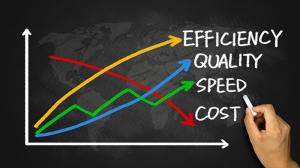 International accreditation programs can be extremely expensive and outside the reach of many excellent providers who cannot or choose not to pursue budget-breaking accreditation. Some providers have completed national accreditation programs of equal value of international programs so there is no need to seek international accreditation. With its focused and affordable accreditation programs, Temos reviews clinical and non-clinical standards that are focused primarily on international patients but those standards also benefit domestic patients. It is a high-value, reasonably priced accreditation program that can return the investment in better quality care, reduced expenses, increased revenues, and, perhaps most importantly, satisfied patients and staff. Find out how Temos can help you build a better patient experience to achieve the success you want. 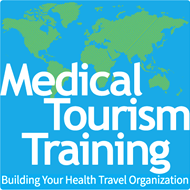 Medical Tourism Training is the exclusive representative for Temos in the United States, Mexico, Central and South America as well as the Caribbean. Contact us today for more information about Temos Worldwide accreditation for these and other regions.